Where do I even begin with Misi? 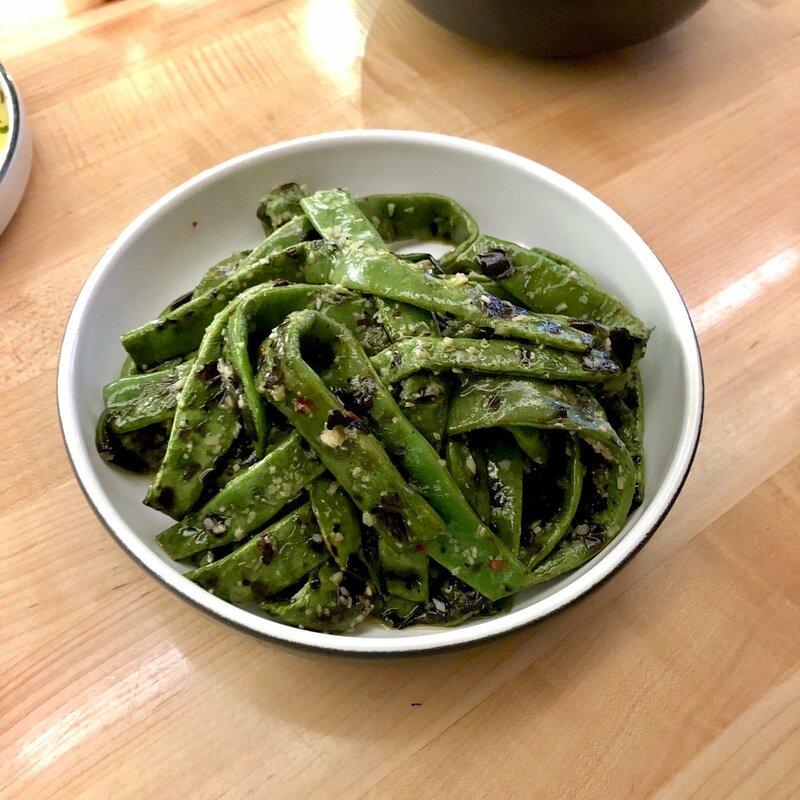 This South Williamsburg beauty from celebrated chef Missy Robbins focuses on handmade pasta dishes and vegetable antipasti inspired by simple Italian cooking. That’s truly just it. The menu is very straightforward- ten antipasti and ten pasta- but everything is executed with such finesse, that it feels like a luxury dining experience. You may remember Chef Missy Robbins from Lilia, her in North Williamsburg hotspot in a converted auto body shop. She’s back with a bit simpler concept, but doesn’t skimp on taste or flavor. Misi had been on my husband’s and my must-visit list for some time now, but since we've been spending so much time in Los Angeles, we still hadn’t gotten the chance to stop by. Finally, on a recent trip to New York, we decided to walk in early on a Friday evening (risky with no reservation! ), and were lucky enough to be greeted by Missy herself! 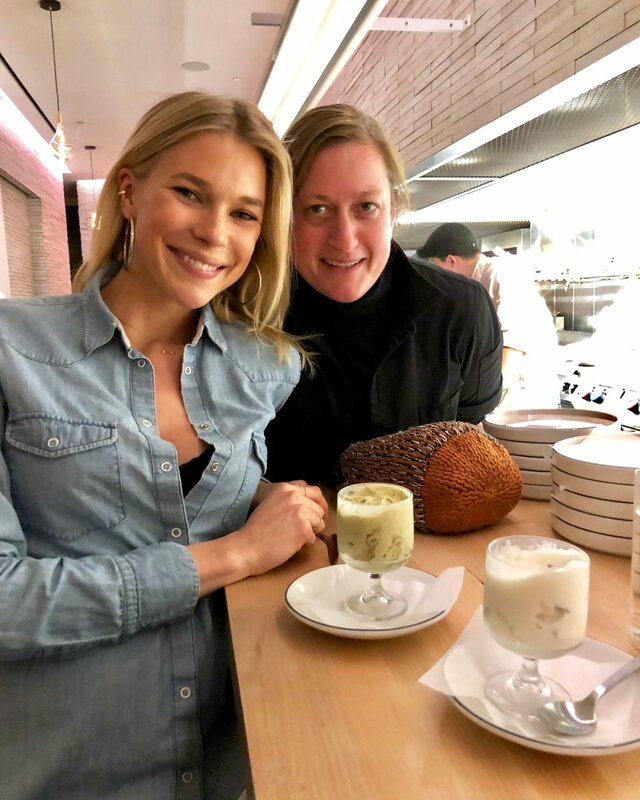 After a private tour of Misi’s beautiful pasta room (check out my Instagram story highlights for more), we were seated at some of the best seats in the house overlooking the open kitchen, and started to devour the menu while watching the sunset over the Williamsburg bridge. It was hard to narrow it down- so many dishes sounds appealing- but we ended up with three antipasti and three pasta! A nice, light meal for two people, no?! Scroll through the slideshow above for details on each dish, but honestly I’m not sure I could even choose a favorite. The raw fennel & celery salad with parmigiano & walnuts was the perfect light, crunchy complement to the garlicky, grilled runner beans. 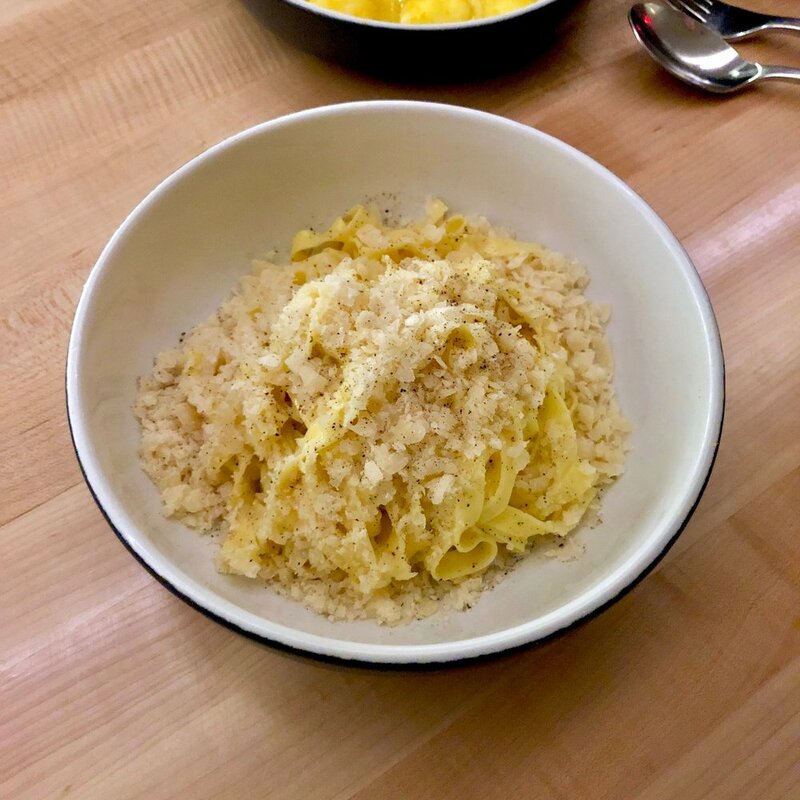 And as simple as the fettuccine with buffalo butter, parmigiano extra vecchio & black pepper was- wow- it truly blew us away. There’s sometimes nothing better than fresh, simple ingredients done right. Missy even told us that the fettuccine was the first dish created for the menu at Misi, before the restaurant was even open! Definitely a must-order if you’re lucky enough to go. We were both pretty full by that point, but I’m never one to pass on dessert, and once again Misi keeps things nice and simple. There are six housemade gelati available (plus the current off-menu pistachio! ), as well as a nice offering of digestivi like grappa & amaro. We went with the super creamy pistachio gelato (loved the chunks of toasted nuts), as well as mint stracciatella gelato, which was smooth and refreshing, with just the right amount of mint infusion. We had such a delicious and memorable meal thanks to Chef Missy Robbins, I truly cannot thank her enough. The passion and care that goes into her food is evidently clear, and as a #chefswife myself, I respect her so much for that! Cheers to plotting our next visit sooner than later!